Healthwatch Rutland is the independent champion for health and social care in the county. We are pleased to announce Dr Janet Underwood as the new Chair for Healthwatch Rutland as of January 2019. Dr Janet Underwood is an experienced clinician with first hand academic research and business experience. She first trained as a nurse at The Royal London Hospital, where she became a Registered Nurse in 1973 before then taking up an appointment as a Staff Nurse in Rutland and Leicestershire. In the mid-1970s, Janet temporarily left the profession to care for a growing family, and in a career change into business became responsible for administration and project management of the construction of a new facility for the family business which was then sold in 2001. Janet then completed a Return to Practice course at De Montfort University, Leicester, successfully regaining her Registered Nurse status. She worked as a Staff Nurse at Leicester General Hospital for 10 years and was involved in the patient advocacy panel as part of her work. She was also instrumental in introducing the ‘Think Glucose’ projects to the ward in order to achieve better care for patients with Diabetes Type 1 and 2. At the same time as practicing as a Staff Nurse Janet also gained a BSc (Hons) (first class) in social sciences with sociology, and an MSc (distinction) in social science research methods. Her interest in patient and family advocacy led her to go on to complete her PhD thesis in 2017, researching the experiences of those visiting significant others in NHS acute wards. 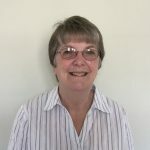 Janet has now retired from clinical practice, but continues to work with a health policy research group at De Montfort University (lead by Dr Sally Ruane) and has recently published work related to University Hospitals Leicester, maintaining her interests in health and social care.